In the 4th century AD the deserts of Egypt, Palestine, Arabia and Persia were settled by people who left behind them a strange reputation. They were the first Christian hermits, who abandoned the cities of the ancient Roman world to live in the solitude and silence of the desert. Why did they do this? The reasons were many and various, but they can all be summed up in one brief phrase: the quest for salvation. Among these men and women are the life and witness of St. Anthony the Great. 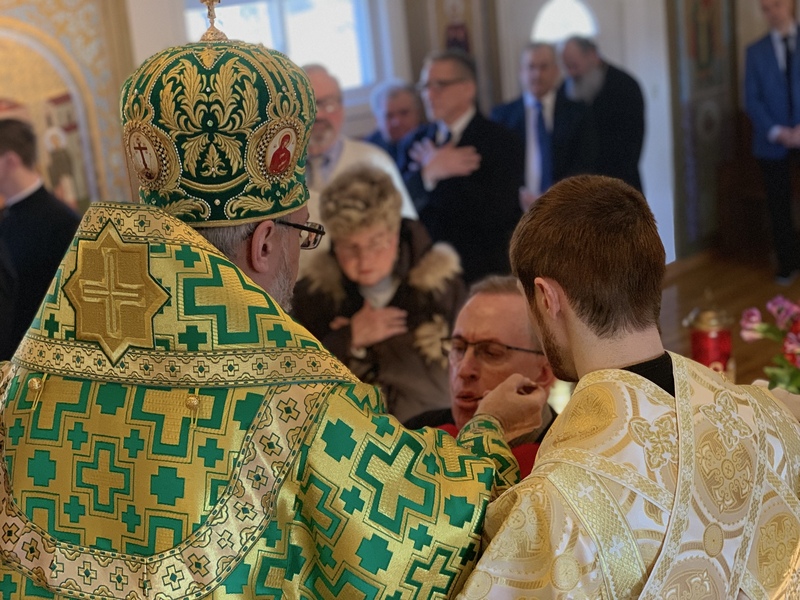 With these reflections in mind, the clergy and faithful of the Ukrainian Orthodox Church of the USA joined His Eminence Metropolitan Antony, the primate of the UOC of the USA, in the prayerful celebration of his Name’s Day, birthday and the 6thanniversary of archpastoral service as the 4thMetropolitan of the Church. 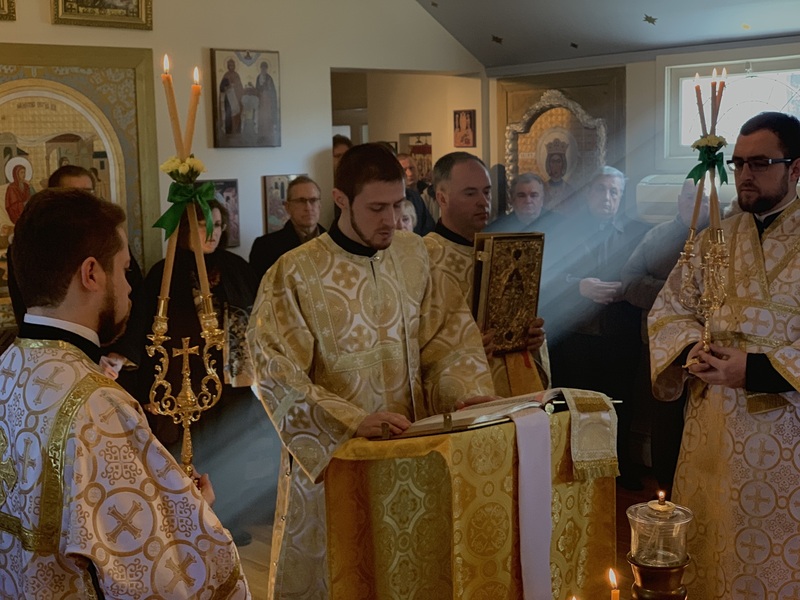 The Three Holy Hierarchs chapel of St. Sophia Ukrainian Orthodox Theological Seminary in South Bound Brook, NJ, became a place of liturgical and community celebration of the festivities on the 30thof January, 2019. 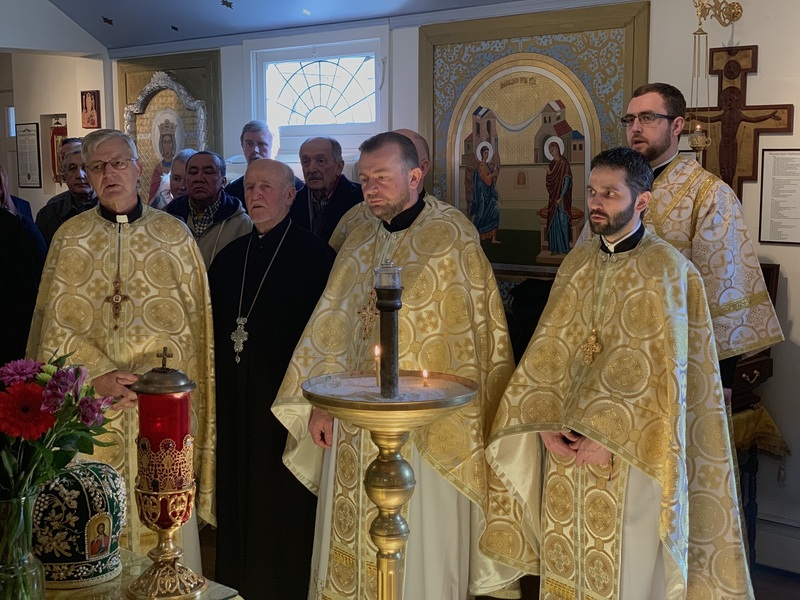 The clergy of the local parishes of NY/NJ/PA joined Metropolitan Antony and Archbishop Daniel for the Divine Liturgy and festive luncheon. 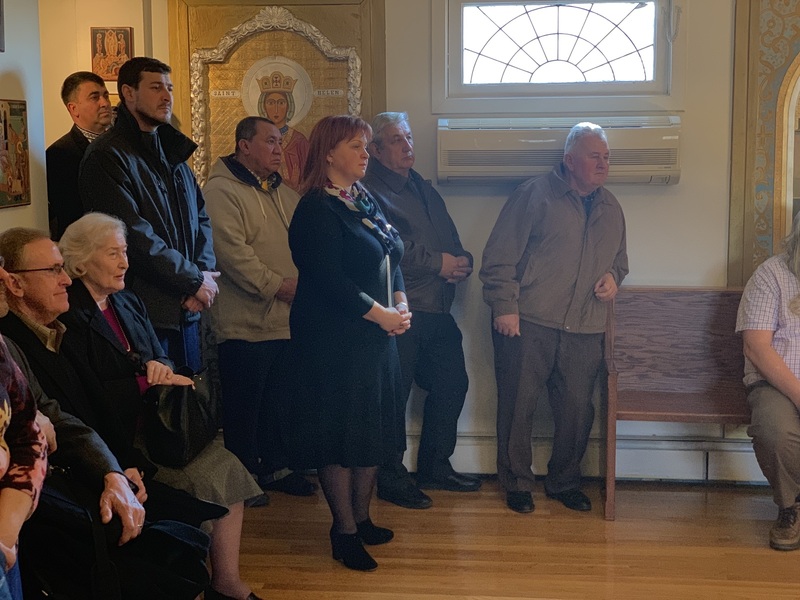 Greeting the hierarchs at the entrance of the chapel were Very Rev. Fr. 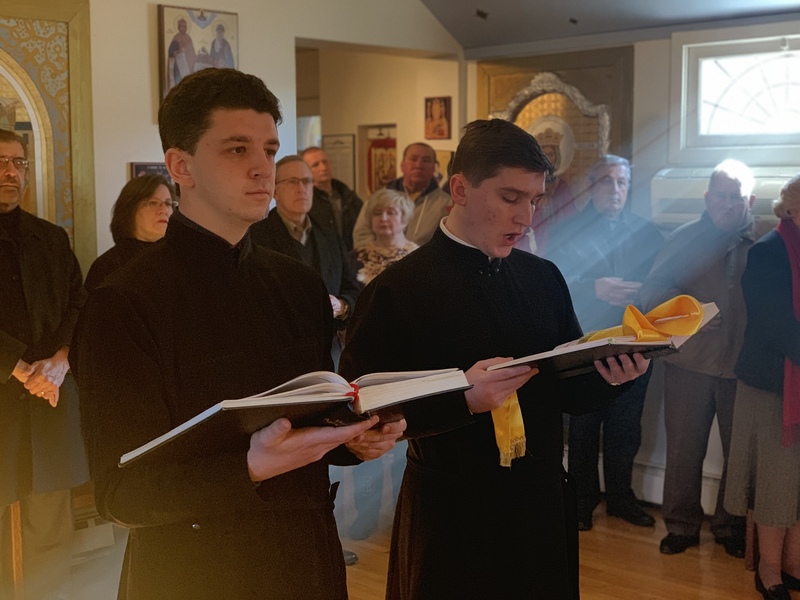 Antony Perkins, Vocations Director of the Church and the fourth year seminarian Subdeacon Ihor Protsak. 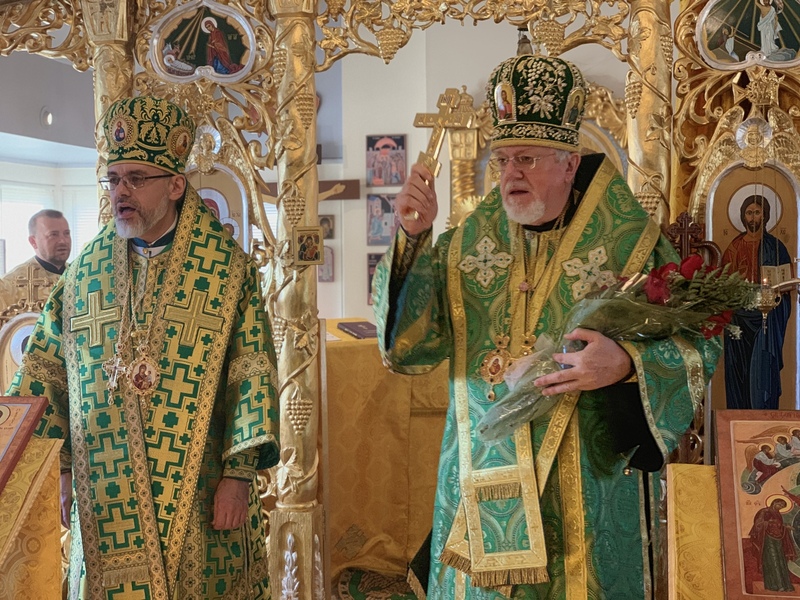 Both of them, in the welcome remarks, made references to the saintly way of life of Venerable Anthony the Great, making references to the fatherly love that Metropolitan Antony exhibits to the flock of Christ’s Church – the sacred Vineyard of the Ukrainian Orthodox Church of the USA. Concelebrating with the bishops were Very Rev. Fr. 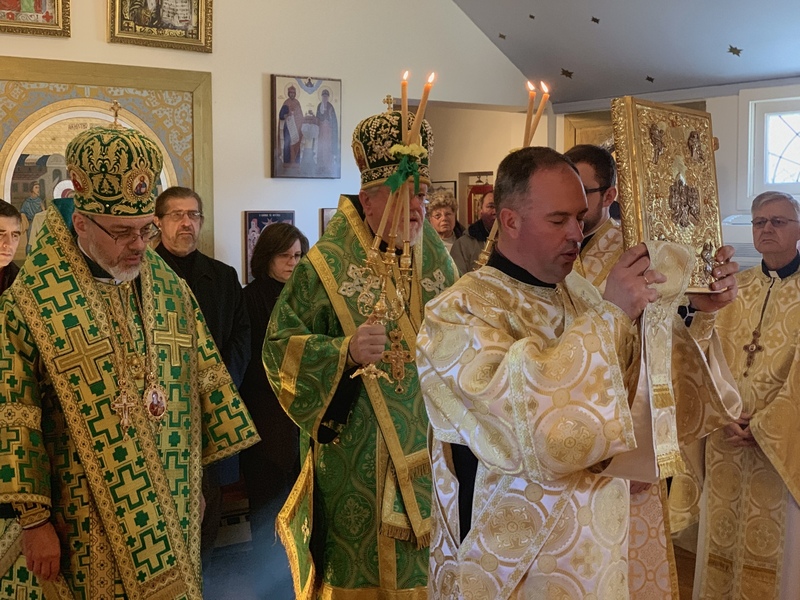 Anthony Perkins (pastor of the Protection of the Birth-Giver of God Ukrainian Orthodox Cathedral, Allentown, PA), Very Rev. Fr. 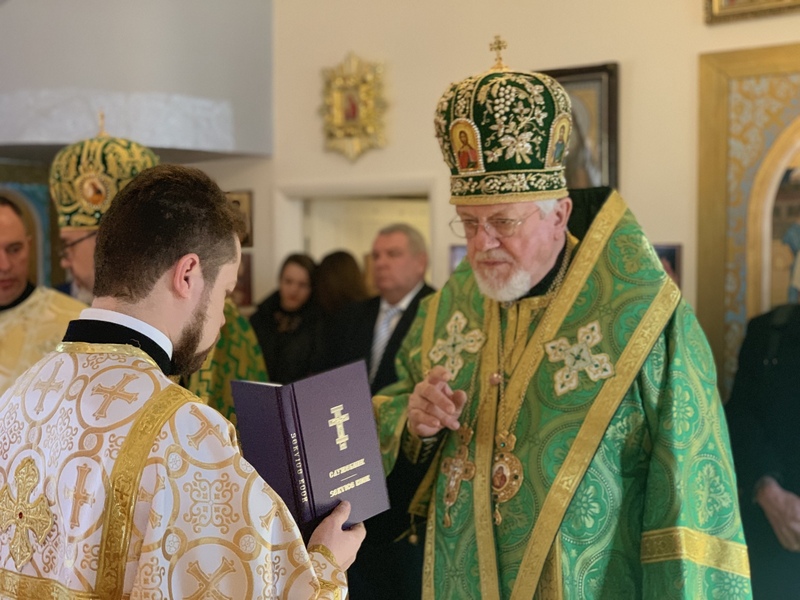 Yuriy Siwko (pastor of St. Andrew the First-Called Ukrainian Orthodox Memorial Church, South Bound Brook, NJ), Very Rev. 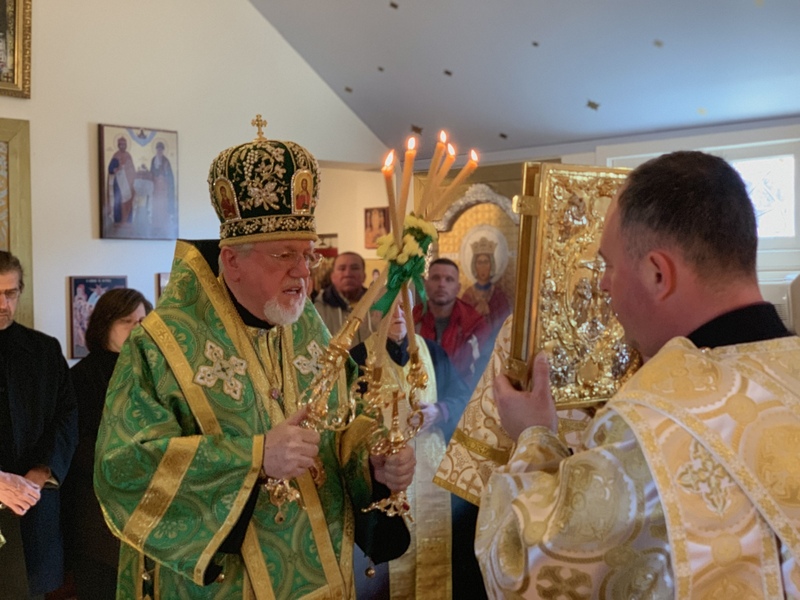 Petro Levko (pastor of St. George Ukrainian Orthodox parish in Yardville, NJ), Very Rev. 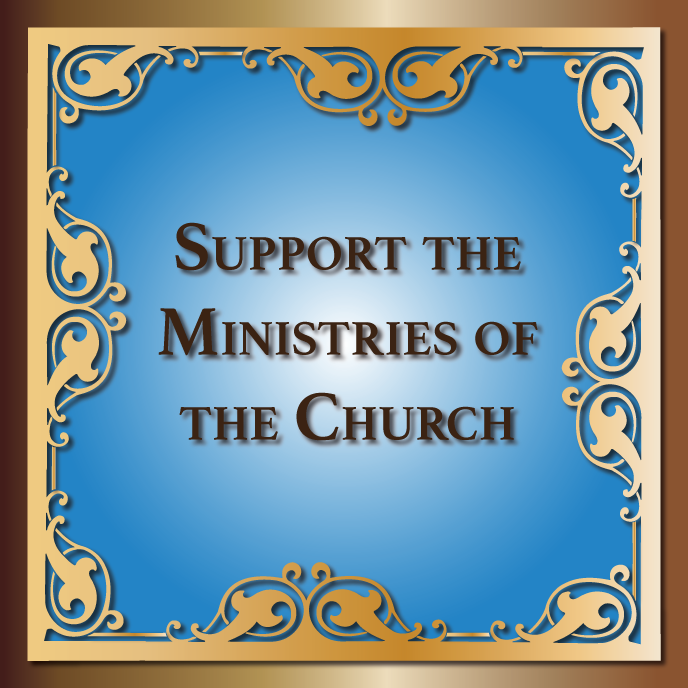 Mykola Andrushkiv (pastor of St. Luke the Evangelist Ukrainian Orthodox parish in Warners/Syracuse, NY), Very Rev. 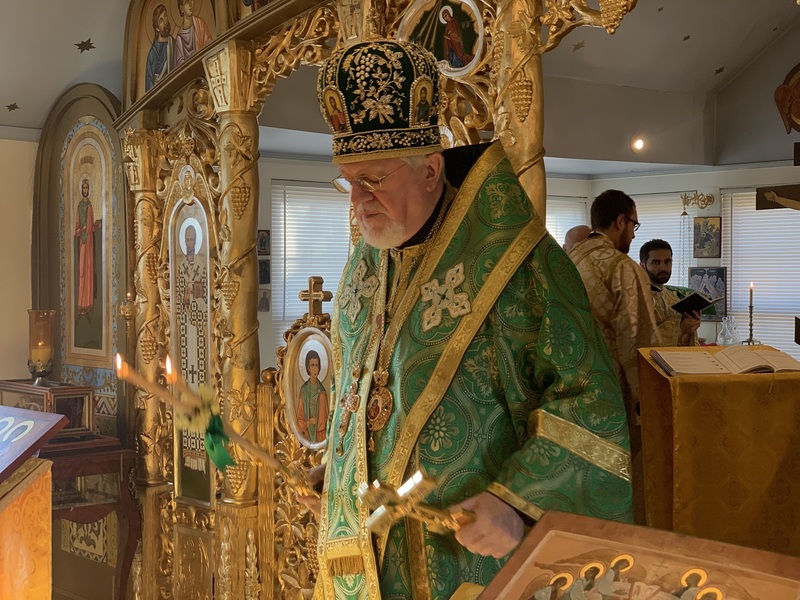 Vitaliy Pavlykivsky (pastor of All Saints Ukrainian Orthodox parish in New York City, NY), Rev. Fr. 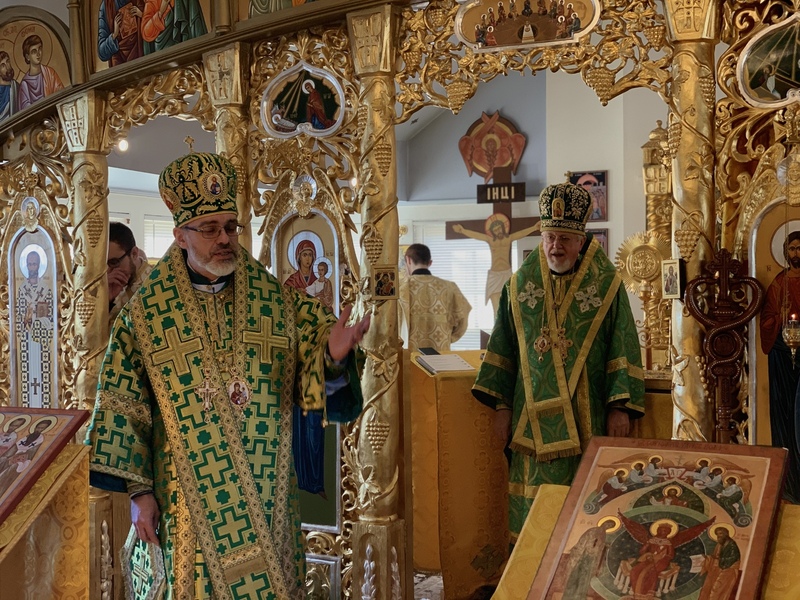 Orest Pukhalsky (pastor of Sts Peter and Paul Ukrainian Orthodox parish in Glen Spey, NY), Rev. Fr. 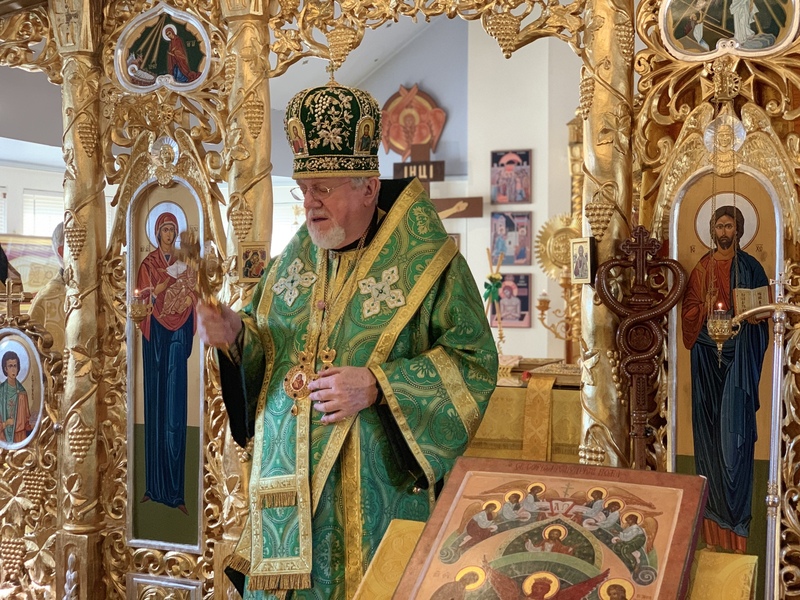 Vasyl Pasakas (pastor of the Nativity of the Birth-Giver of God Ukrainian Orthodox parish in South Plainfield, NJ), Rev. Fr. 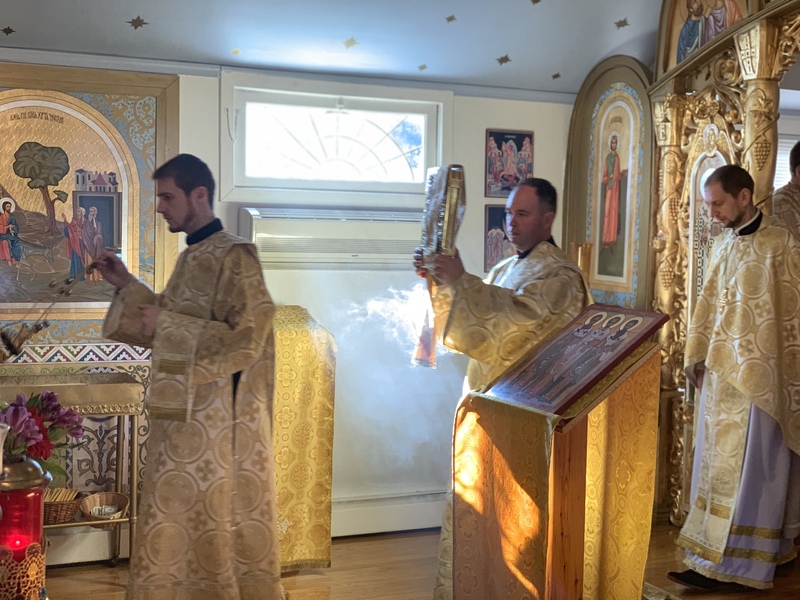 Vasyl Shak (pastor of St. Panteleimon the Healer Ukrainian Orthodox Church in Brooklyn, NY), Protodeacon Ihor Rusyn (Protection of the Birth-Giver of God Ukrainian Orhtodox parish in New Haven, CT), Deacon Sviatoslav Hot and Deacon Oleg Kravchenko (St. Sophia Seminary, South Bound Brook, NJ) as well as Very Rev. Fr. 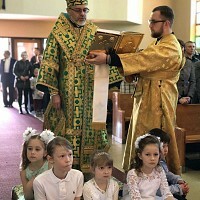 Taras Naumenko (pastor of St. Vladimir Ukrainian Orthodox Cathedral in Philadelphia, PA), Very Rev. Fr. 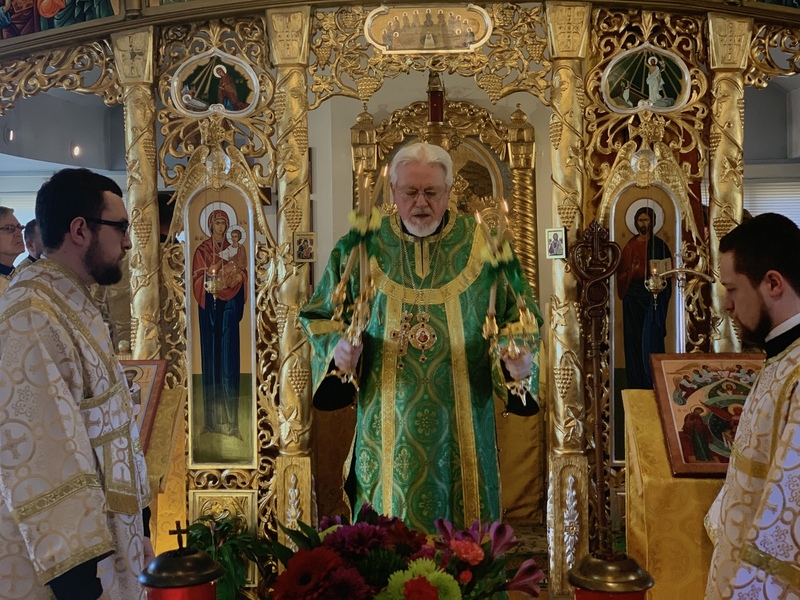 Volodymyr Muzychka (pastor of St. Volodymyr Ukrainian Orthodox Cathedral in New York City, NY), Very Rev. Fr. 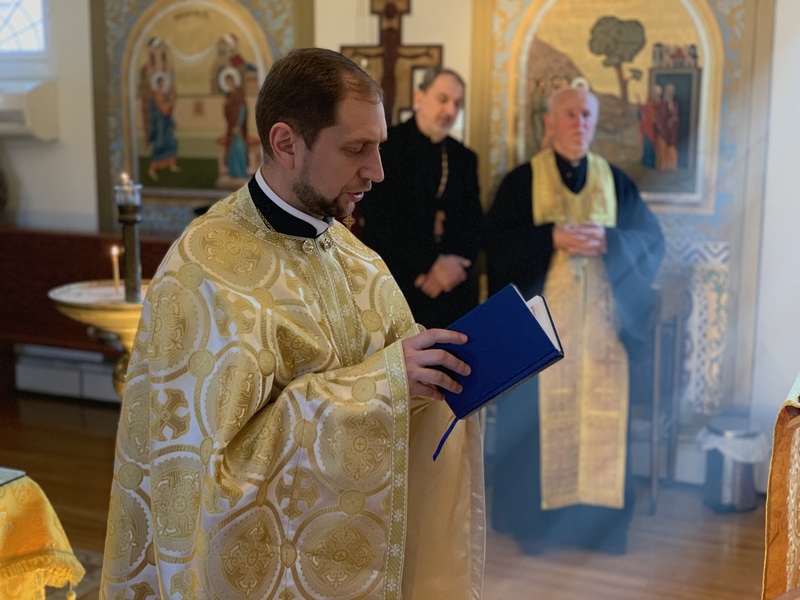 Todor Mazur (pastor of the Holy Trinity Ukrainian Orthodox Cathedral in New York City, NY), Very Rev. Fr. Volodymyk Khanas and Very Rev. Fr. Vasyl Scherban. 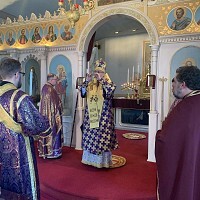 As it has become already customary, and while being hospitable hosts of the liturgical celebration, the seminarians of St. Sophia Ukrainian Orthodox Theological Seminary sang during the Liturgy and carefully prepared and chanted the sacred readings from the Epistle of St. Paul in both Ukrainian and English languages. 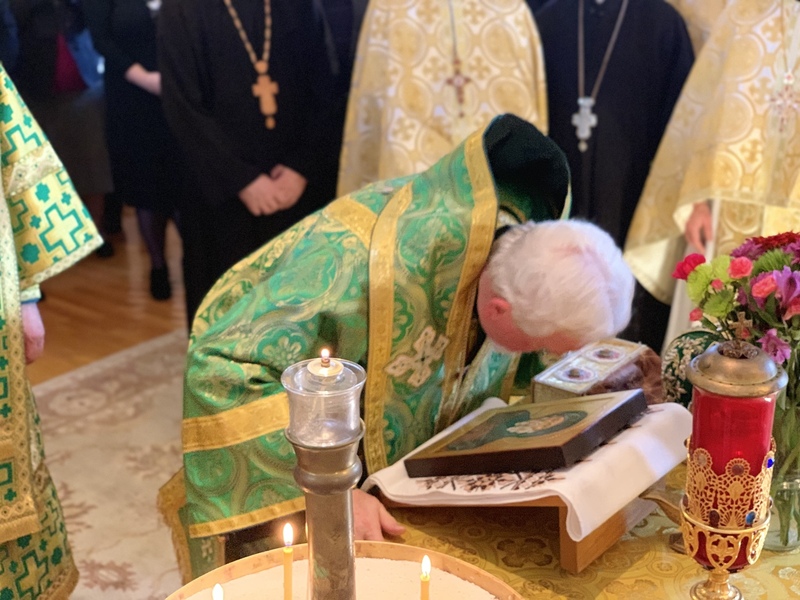 During the Liturgy, a Memorial Litany was intoned by His Eminence Archbishop Daniel, commemorating the fallen heroes of the historic battle of Kryty, when hundreds of young students sacrificed their lives, protecting the young Ukrainian state from the Russian invasion. The battle itself took place exactly 101 years ago on January 29th. 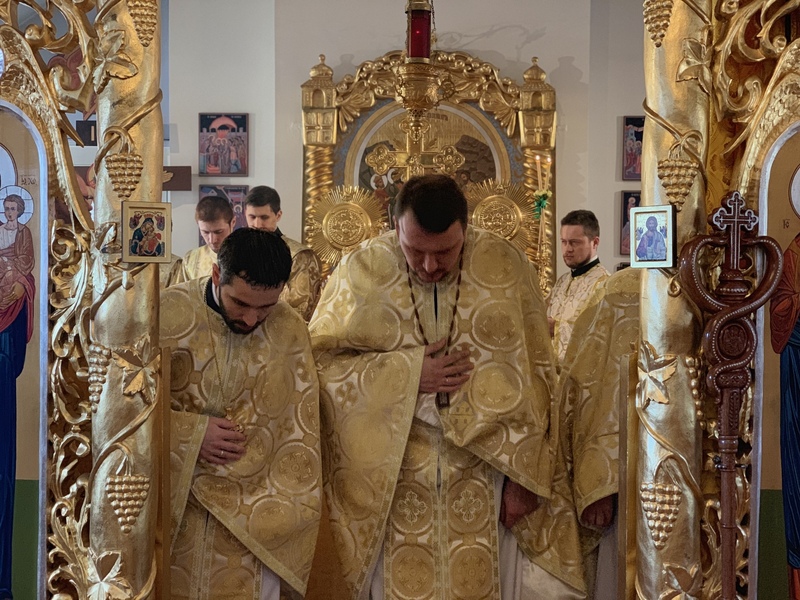 Dozens of faithful in attendance approached the Sacred Chalice and received the Most Holy Eucharist from the hands of Archbishop Daniel, who following the conclusion of the Divine Liturgy presented a short greeting to His Eminence Metropolitan Antony on the occasion of the triple celebration. 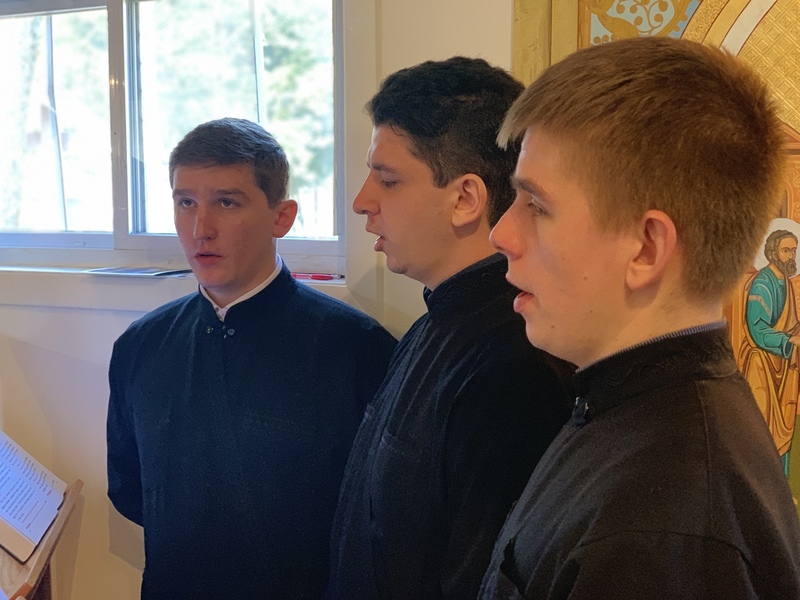 In conclusion of his remarks, Vladyka Daniel introduced the seminarians of the Church who formally offered their greeting to the Metropolitan. 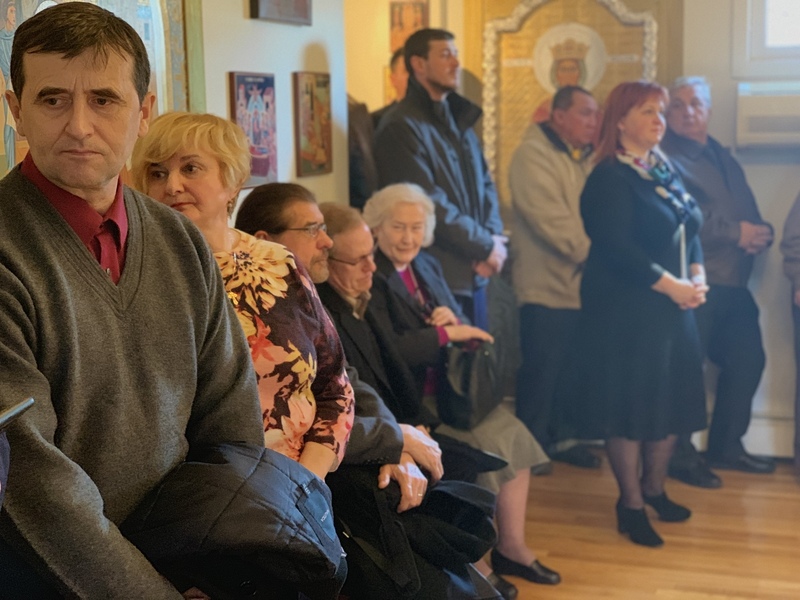 Subdeacon Mykola Zomchak presented the metropolitan with a bouquet of flowers, while parishioners from various parishes presented the gifts of love, among which was a portrait of Metropolitan Antony made out of amber stones. 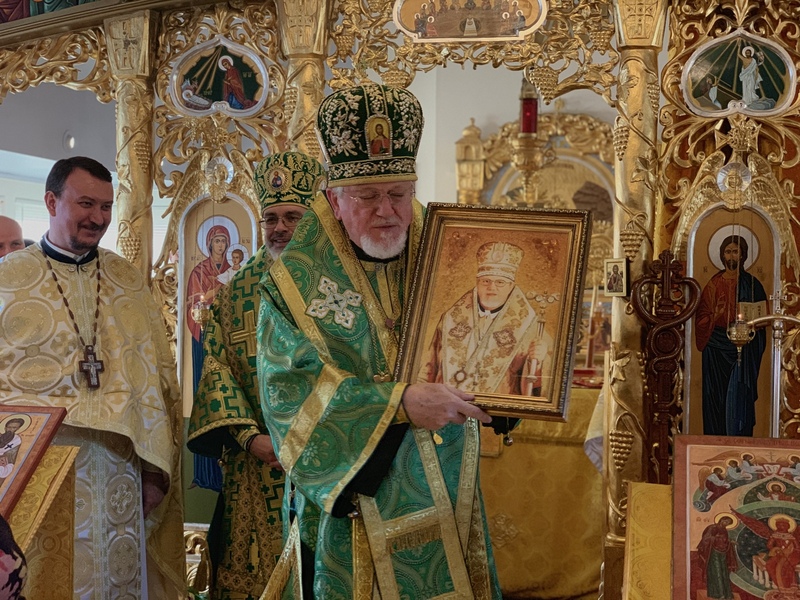 In conclusion of the service, Archbishop Daniel presented Metropolitan Antony with several written greetings (that have arrived on the occasion of the celebrations) from His All-Holiness Ecumenical Patriarch Bartholomew, Metropolitan Yuriy and Very Rev. Fr. 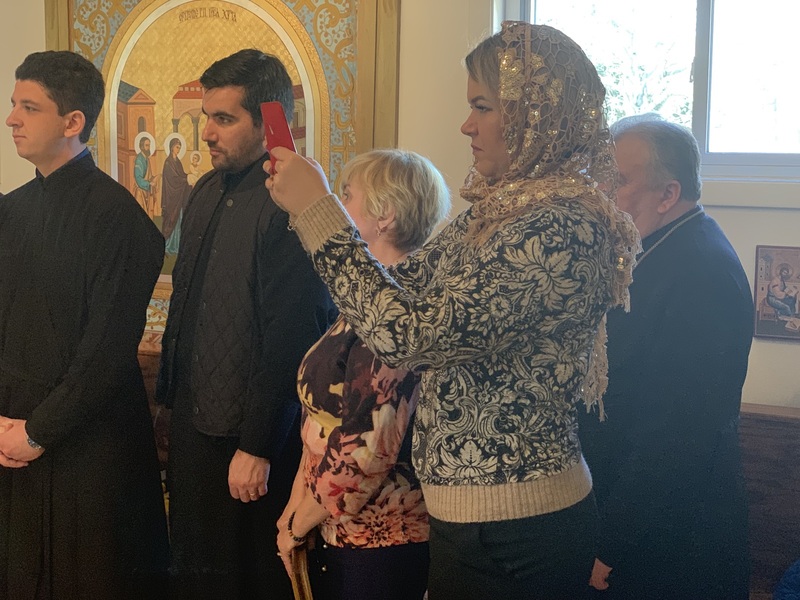 Taras Udod (chancellor) of the Ukrainian Orthodox Church of Canada, Ambassador Valeriy Chaly, the Embassy of Ukraine in the United States of America. 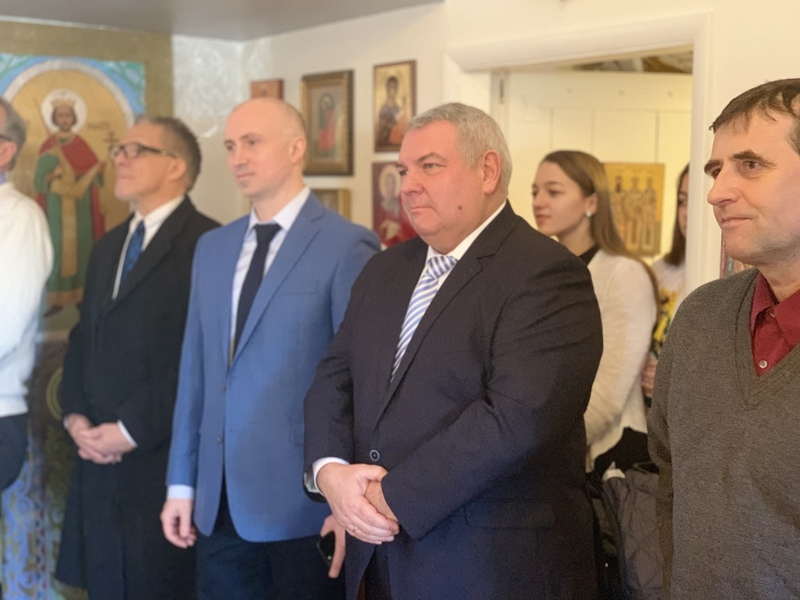 Consul General Oleksii Holubov and Consul Denys Semenovych of the Consulate General of Ukraine in New York, who were in attendance of the celebration, offered their greetings to the metropolitan in person. 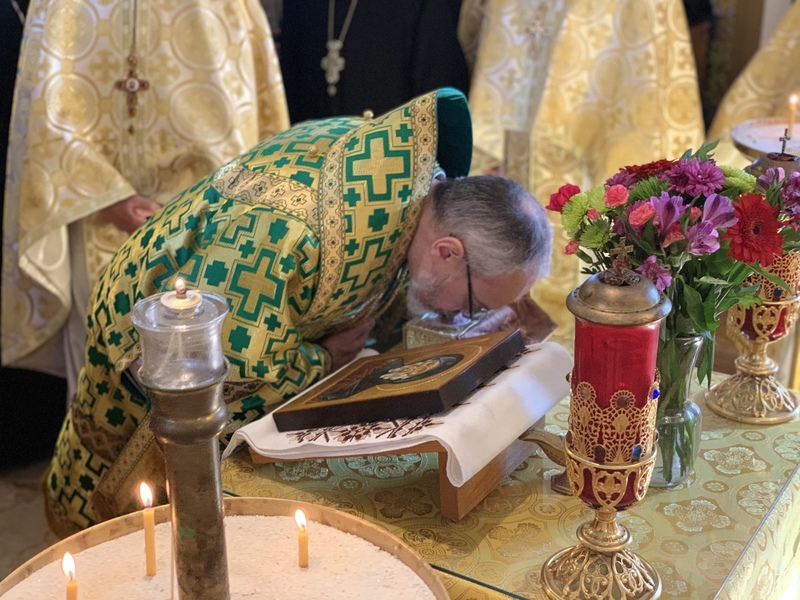 Responding to the kind words of greetings, His Eminence Metropolitan Antony reflected upon the path of spiritual life and legacy of St. Anthony the Great, while quoting from the prayers of preparation for the Holy Communion and the first prayer of gratitude after the Communion. He wanted to share with the faithful the fullness of understanding about why we participate in the Holy Eucharist and how that participation leads us ever closer to becoming one with God…”Those who eat My Flesh and drink My Blood abide in Me and I in them.” St. Antony fully comprehended this living in the desert facing even greater threats to his salvation – the closer one comes to God the greater temptations become to tear him away from God. We who live “in the world” in our very secular world must comprehend just what the Eucharist is and the effect it can have on our very lives and our salvation. 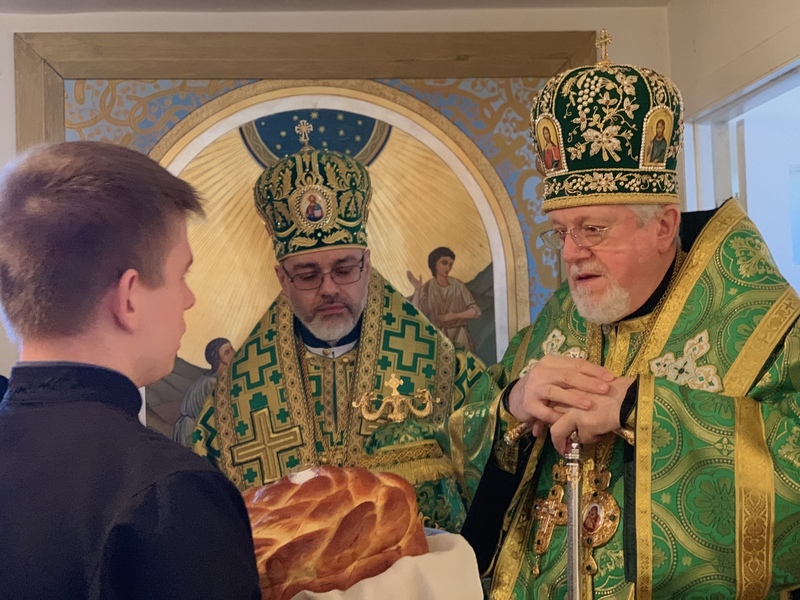 The celebration concluded with a luncheonin honor of Metropolitan Antony prepared by the staff of the Seminary and under the leadership of Fr. Vasyl Pasakas and the chef of the Seminary’s kitchen Pani Maria Morozovska. Everyone in attendance exclaimed a joyful “God, grant you many years, Master!” as the seminarians presented their metropolitan with a birthday cake. Souper Bowl Sunday 2019 is FEBRUARY 3, 2019!